Contact - B&B RV Rental | RV Rental Denver Airport | Contact Us Now! 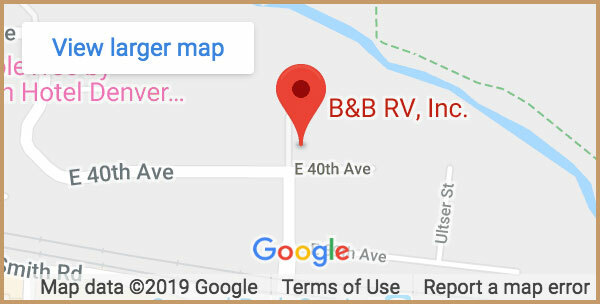 Located 15-20 minutes from Denver International Airport, B&B RV, Inc. is one of the closest major rental facilities to DIA. The best transportation option from DIA is either a taxi, Uber, or the Super Shuttle. Any option you pick will drop your group off at our door. We also have special arrangements with the neighboring hotel if you need a night on either end of your rental. The hotel has a free shuttle from the airport. From DIA travel south on Pena Blvs. to I-70 westbound. Take the Central Park Blvd. Exit and turn left on Central Park Blvd. Cross the railroad tracks to the stop light. Turn right (west) and continue ahead two blocks. 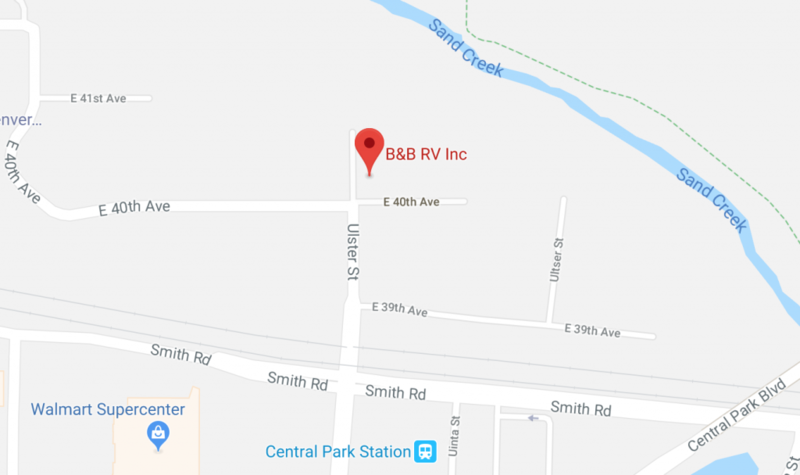 Turn right (north) onto Ulster St. and follow to 40th Ave. B&B RV, Inc. is on your right on the northeast corner of Ulster St. and 40th Ave. Fly into Denver International Airport and enjoy all the wonderful adventures that surround.